CA Technologies is the world’s leading supplier of IT solutions for mainframe and complex computing environments and is best known for its diverse portfolio that includes products which are used by global Fortune 2000 organizations. Be it the data centre services, network management, cloud, security, or storage solutions, CA Technologies confer range of products and services that encapsulate entire IT spectrum; making themselves as a knight in shining armor for every CIO. Today, CA Technologies has positioned itself as a company that unravel the complexity of the IT infrastructure, either by governing IT policies and practices or by managing and securing systems. And as its users has now begun to extend their IT infrastructure beyond their own four walls, onto the internet by adding elements of software as a service (SaaS), CA Technologies follows suit by extending its management tools into the cloud as well. Adopting the resilient trends to further enhance their arsenal of solutions, CA Technologies is leading the way in emerging technologies from planning to development to management and security. Myriad of CA Technologies’ partners, today, are leveraging the expertise of the IT giant to address the demands and challenges associated with fueling transformation in their organizations and seizing the opportunity to ascent in the application economy. 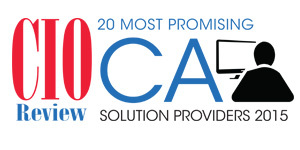 The customers and partners of CA Technologies have witnessed a hoisted success in their journey as they capitalize the unique resources of the company and its preeminent tech support. The CA Global Partner Program is incepted by CA Technologies to further accelerate their partner’s journey and support them to focus on solutions and services that steer success—helping customers move away from managing technology to delivering the innovation that drives revenue and growth. As it stands, this program seems to be working superlatively as numerous organizations have started to invest their trust in CA Technologies and the proficiency the company carries with itself. A&I Solutions A provider of Clarity Implementations and Project Management focusing on delivering high performance, consistency and maximum efficiency. Annitek A provider of CA Clarity Project and Portfolio Management Consulting and Implementation Services, Software and Training. Axis Group A provider of Information Management, Business Intelligence, and Project and Portfolio Management. Cyphercor A smartphone-based two-factor authentication (2FA) provider. Digital Celerity LLC A provider of innovative IT Governance, Demand Management, Service Catalog and Operations solutions. Evolving Solutions Working with IT departments to architect solutions that improve business processes and manageability of server and storage systems. Excers A provider of CA Clarity PPM solutions for project management, integrations, business analysis, migrations, installations and reporting. Gleanster Research A provider of survey-based IT market research reports and software selection directories in one intuitive offering. HostBridge Technology Develops and delivers software products that integrate existing and emerging technologies within large organization. IT-ROI Solutions CA PPM consulting firm offering simplified PPM services for enterprise integration. Itegrations A company specializing in Information Technology Service Management (ITSM) and Mainframe solutions. Rego Consulting CA technology premier partner company providing innovative CA PPM consulting solutions, upgrades, and training to help companies get maximum value from their CA PPM. Simeio Solutions Providing a comprehensive suite of enterprise Identity and Access Management (IAM) resources. Stefanini Providing IT help desk outsourcing, application development services, system integration, consulting and strategic staffing. Stromasys A provider of enterprise-class virtualization solutions for legacy systems. Tasktop Providing Application Lifecycle Management (ALM) and software development tools integration to transform the productivity of software delivery. Terma Software Provides advanced workload analytics, monitoring, and reporting solutions for enterprise job scheduling and workload automation products.